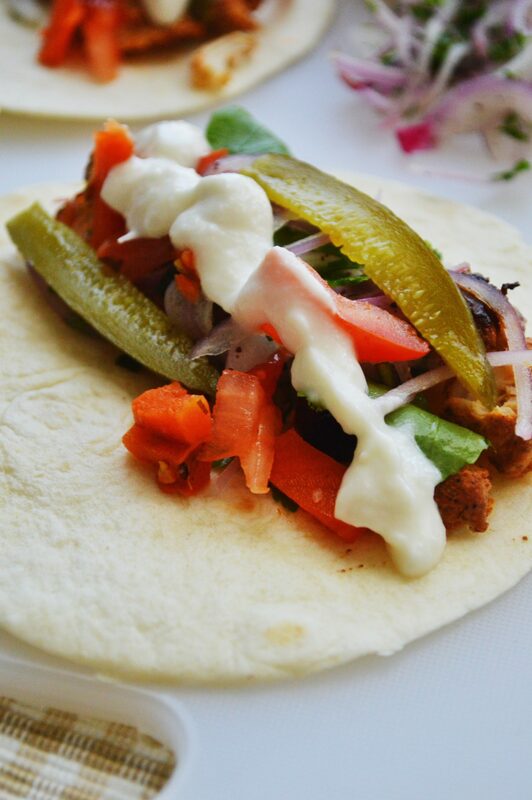 Homemade shish taouk…yeah!! You know i wouldn’t post a recipe that i don’t love. Well, I’m in love with this recipe. I have cracked the shish taouk code. And its seriously awesome. 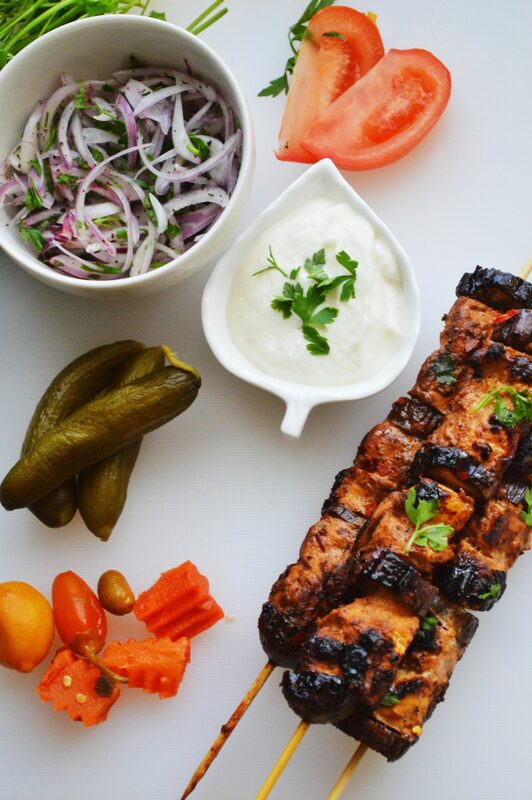 For those of you who are not familiar with shish taouk, according to wikipedia, it is a traditional Arabic and Turkish kabab, which can also be found in Syrian, Palestinian, Jordanian, Lebanese, Egyptian and Iraqi cuisines, but is made in kabab houses in many cities around the world. 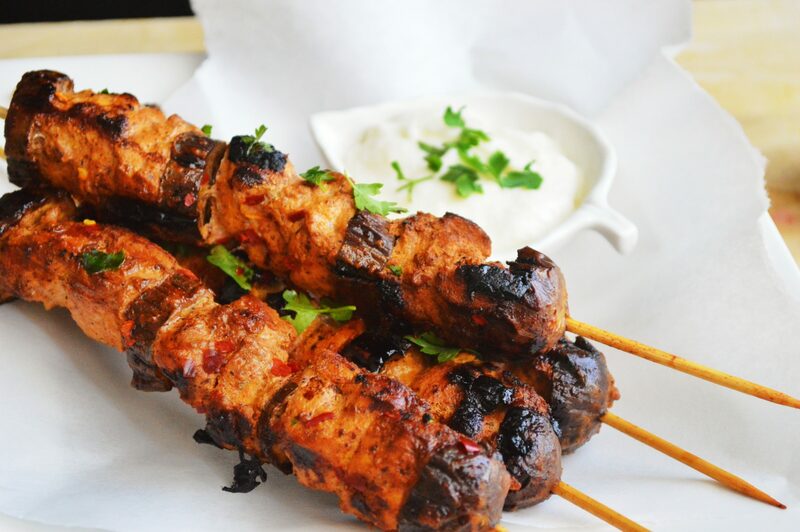 A shish, simply put, has its origins in Turkish and means skewer. Taouk, also Turkish, refers to grilled or roasted chicken. 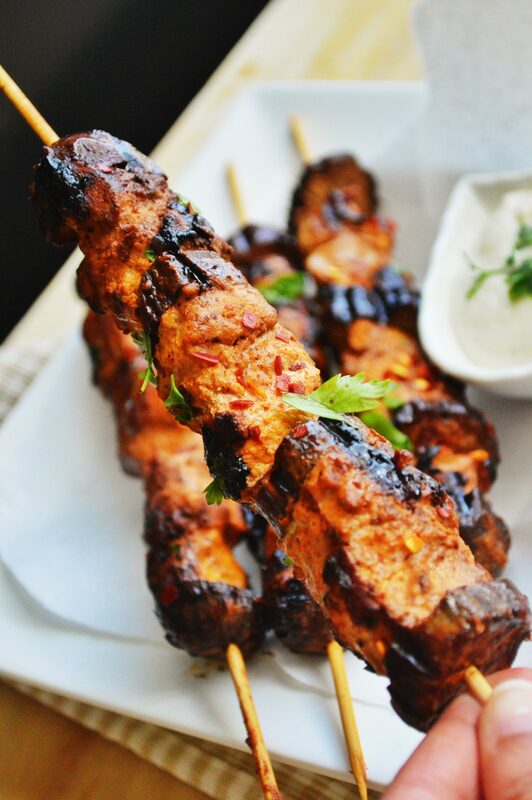 Chicken chunks are marinated in a mixture of yoghurt, lemon juice, ginger garlic, spices and herb. 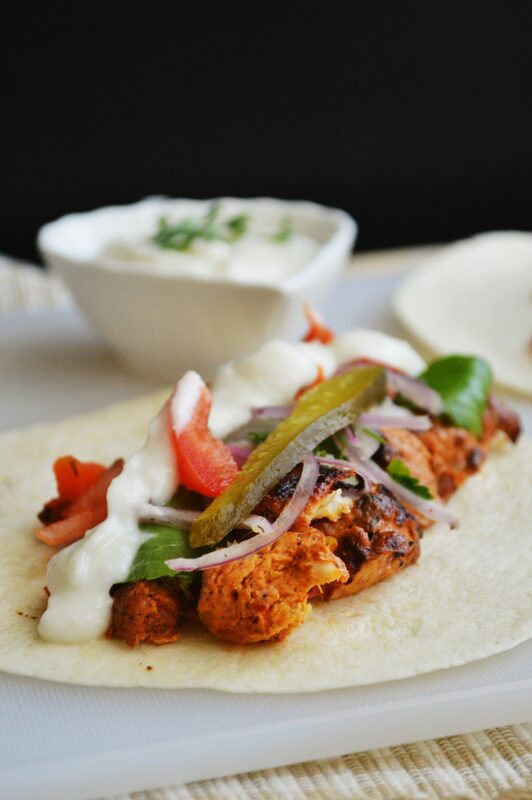 The yoghurt tenderizes the chicken while the spices and other marinade ingredients infuse it with flavor. My husband says that it tasted better than the ones you get at the middle eastern restaurants. He’s biased, of course– but he’s also brutally honest, especially when it comes to the dishes i make for the blog. You can have these chicken with whatever you want really: rice, french fries, pita bread, you name it. I opted to make a wrap with the Mexican tortilla. I also made a quick onion salad with sumac and parsley to go with it, added some tomato and chucked in some jirjir leaves for that added crunch. Thanks ethatha for this idea. 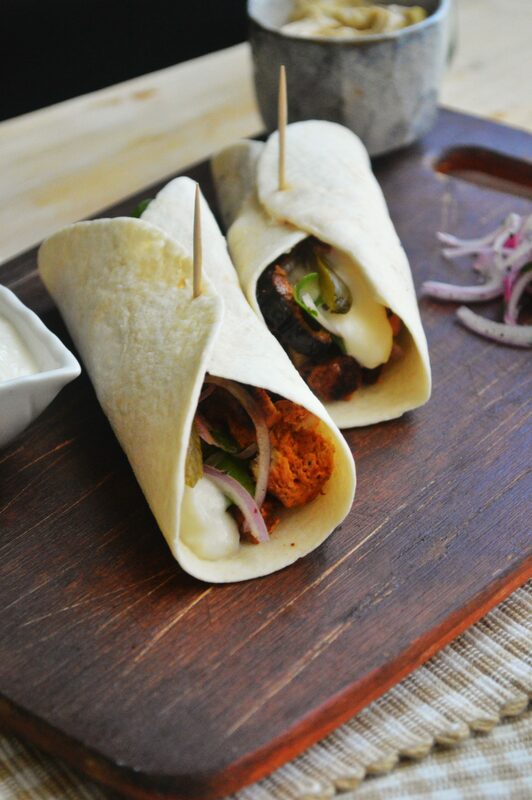 In addition to these i also added the perfect partner for shish taouk, toum sauce or garlic sauce to the wraps. It was simply delicious. Mix sliced onions, chopped parsley, a little sumac powder and salt. 1. Cut the chicken breasts into small cubes. 2. Make a paste of mint leaves, garlic,tomato paste,sumac,oregano,lemon,paprika, white pepper, oil, green chillies and salt in a grinder. 3. Add yoghurt to the paste. Mix well. Check for salt. 4. 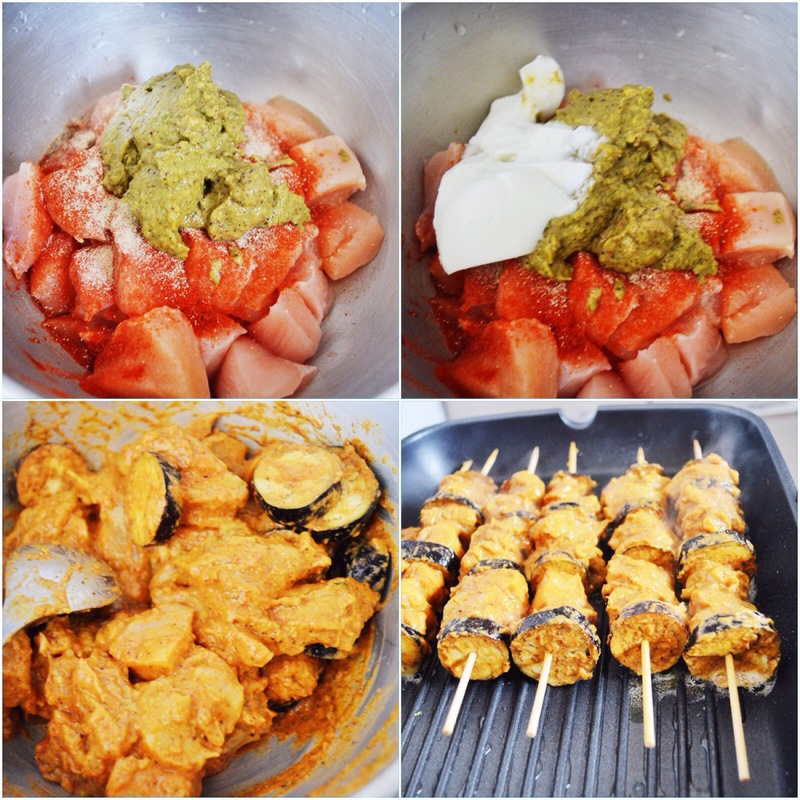 Marinate the chicken pieces in this mixture and refrigerate for about 2-3 hours. 5. Take wooden skewers and soak them in water for half an hour. 6. Then skew the chicken creatively alternating with brinjal, baby potatoes etc. 7. You can either grill them in your oven or in your grill pan or frying pan till tender and nicely browned all over. 8. If you are making a wrap with this, take a tortilla and place the slightly chopped shish taouk, pickles, onion salad, tomatoes, jirjir leaves and toum sauce. Wrap them up and on a frying pan add a dash of butter and toast the wraps on all sides and serve immediately. Cut the chicken breasts into small cubes. Make a paste of mint leaves, garlic,tomato paste,sumac,oregano,lemon,paprika, white pepper, oil, green chillies and salt in a grinder. Add yoghurt to the paste. Mix well. Check for salt. Marinate the chicken pieces in this mixture and refrigerate for about 2-3 hours. Take wooden skewers and soak them in water for half an hour. Then skew the chicken creatively alternating with brinjal, baby potatoes etc. You can either grill them in your oven or in your grill pan or frying pan till tender and nicely browned all over. If you are making a wrap with this, take a tortilla and place the slightly chopped shish taouk, pickles, onion salad, tomatoes, jirjir leaves and toum sauce. Wrap them up and on a frying pan add a dash of butter and toast the wraps on all sides and serve immediately. Oooh thankyou dear for letting me know. How sweet of you. Yours look great. Glad that you liked it. 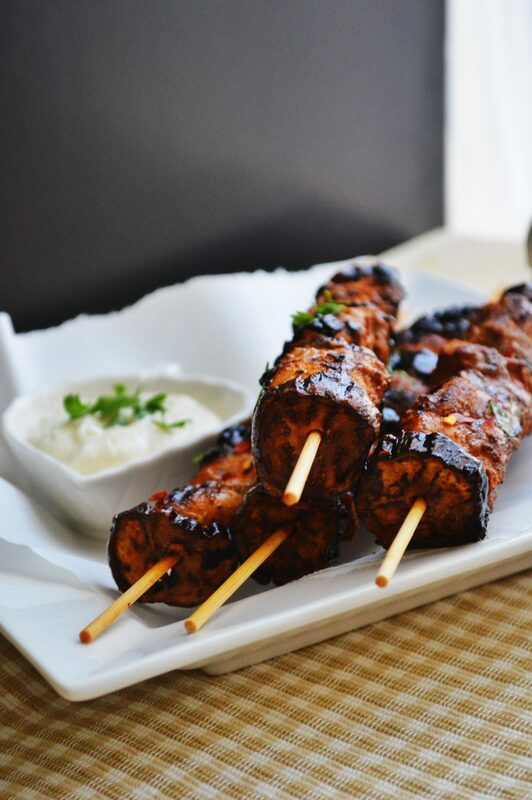 Fantastic recipe, I love kabob, your marinade sounds just delicious. What are jirjir leaves? These will be great on the grill! As usual, an absolutely beautiful dish. And looks to be flavorful. I think marinating in yoghurt improves the taste, juiciness, tanginess and digestibility of almost anything! I love that you put pickle in your package too! May I inquire, what is a Jijir leaf? Thank you! Yeah the yoghurt gives the flavor, tanginess and most importantly it makes the chicken very soft. Jirjir, gergeer, arugula, rocket salad leaves all are the same. Sadia, my husband just read through this post with me and he has asked me to make this for him soon. 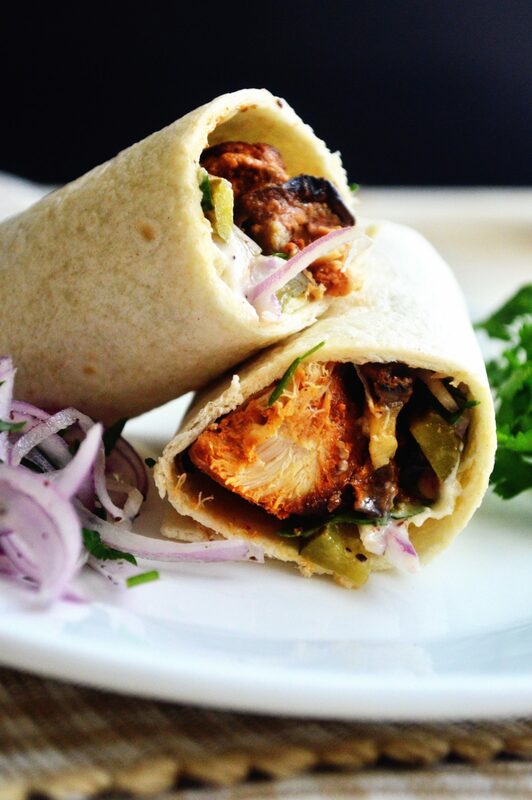 Since he asked so nicely and because these shish taouk wraps look so amazing, I have heartily agreed. I cannot wait to sink my teeth into these wraps. Thank you for the inspiration! bookmarking this one, this looks amazing, the pics, the post, the explanations. no chicken in the house though, just tofu, and somehow I dont think that will work as well! yes you never know until you try I guess 🙂 – would need a lot of marinating time!! Happy weekend! Wow! Wow! Wow! These look so super amazing Sadia!! Have I said “wow” yet!? OMG.. You always make me crave for your food.. I’m don’t with a homemade pizza & yet I want this !! Thank you! Did you make it? U found sumac? Oh my goodness, Sadia, what STUNNING photography! These look incredible; you are quite the talented woman! thank you for sharing and congrats. for your photos, they are beautiful! I am going to try this TOMORROW!!! I am surprised that I have all the ingredients and don’t need to shop! I loveeee shish touk!!! Yaaay! Did you try it? Cant wait to know the result. Lemme know k.
Oh Sadia!! Yum!! I wish there were a million words that all meant “yum” because I’d use them all! This is fabulous!! 🙂 LOVE this. Please don’t make me feel hungry. Can I order for dinner? 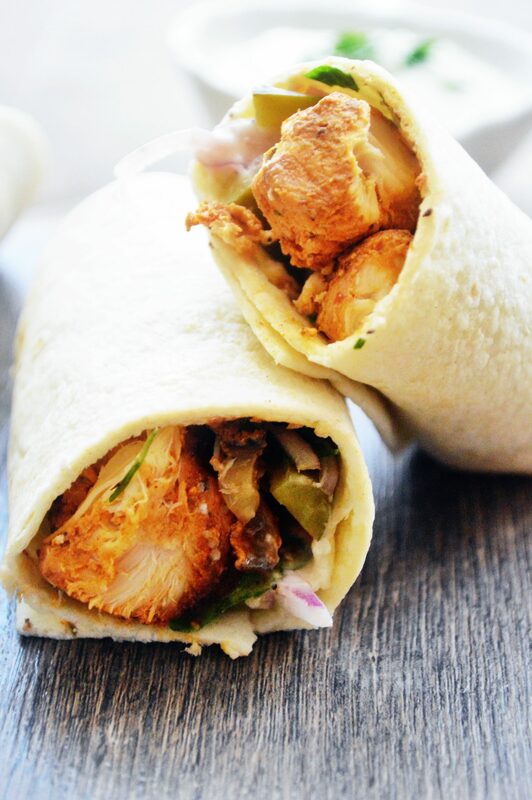 These wraps worth every effort to make them. Very delicious, Sadia! Yum! These look so flavoursome! These looks delicious! Reminds me of kabob I haf in Turkey and now I’m totally craving them! 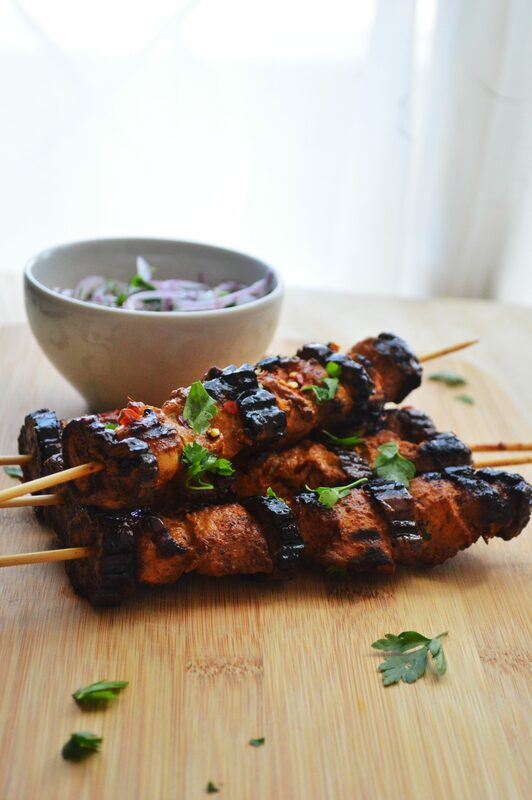 Your marinade with mint and sumac seems so enticing! Will have to try this! I love shish taouk! Yours look fabulous! I am hungry for these and it is still morning time here. They look/sound incredible. Yogurt is great for tenderizing meat. I am intrigued by your presentation. 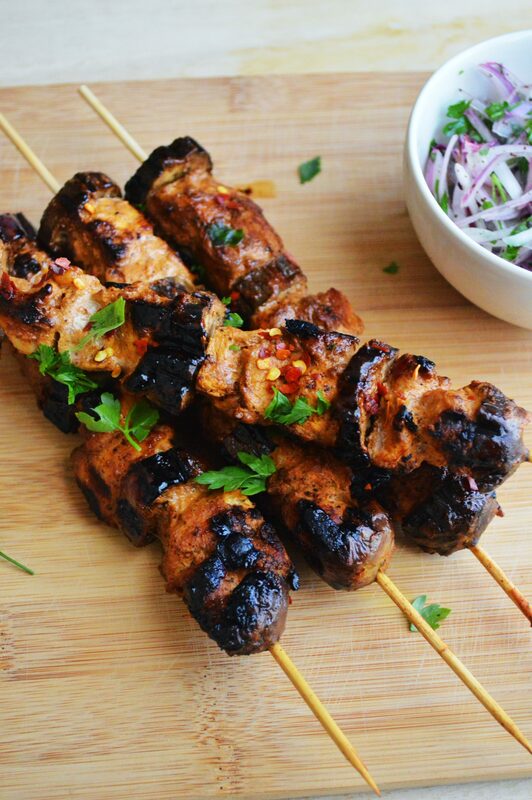 These look amazing: so juicy, so full of flavour!!! 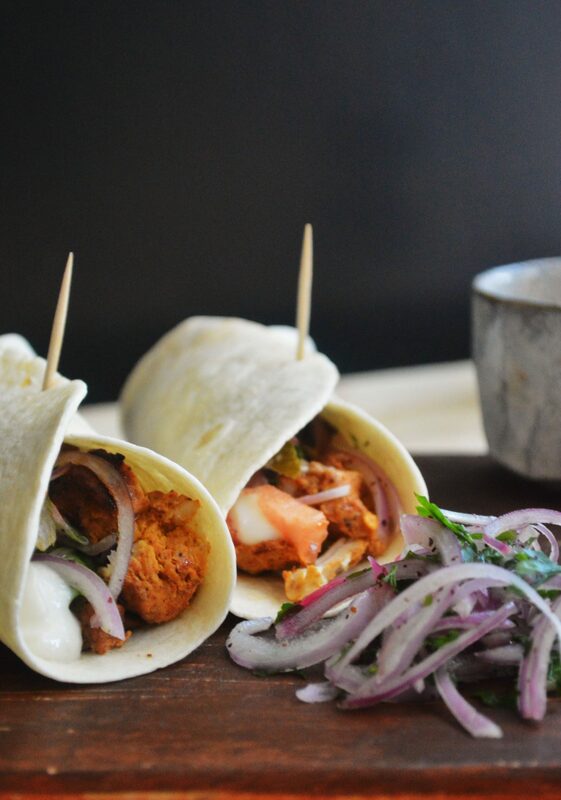 These look divine, Sadia! Definitely going to try the recipe out! You’re turning me back to a meat eater again! Although, I would love to try this with either tofu or Quorn pieces. Especially as I’ve marinaded lamb with yoghurt before and those were amazing. Sadia, why am I not surprised to see such a beautiful post…gorgeous gorgeous gorgeous clicks :). And a delectable recipe…can be taiga like tried in veg version. I cannot get over how beautiful your blog is! these rolls look INCREDIBLE! Thanks for posting! Your photos are so real looking! I almost felt like I could just reach in and grab one. Wish I could! :) They look wonderful. Btw very sorry for replying so late. You are most welcome sijma. Do lemme know how it turned out. Hi! This looks perfect for Spring/Summer – do you have a recipe for the garlic sauce? Thanks a lot sarah for the comment. Soo sorry for the late reply. 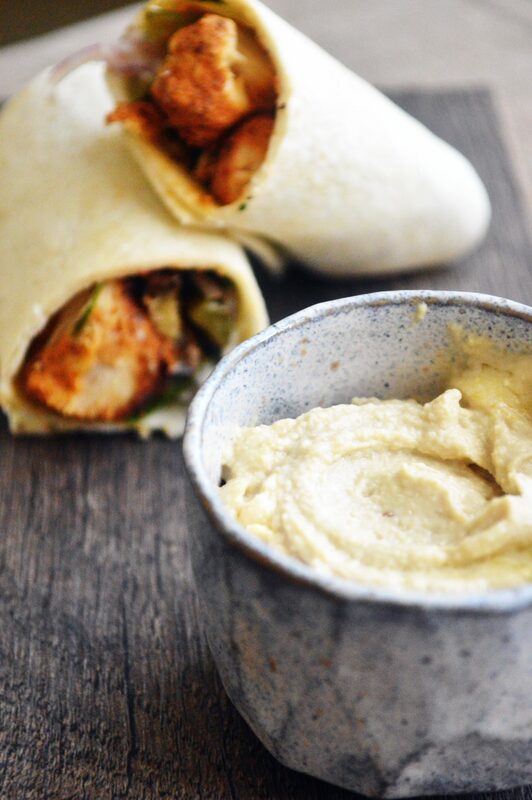 Here is the link for the recipe of garlic sauce, http://thefoodblog.com.au/2010/04/fast-and-easy-toum-the-best-lebanese-garlic-sauce-recipe.html. Its the best recipe. Do try it and lemme know how it turned out for you. Thanks Sadia! I will definitely try it! Oh my goodness these look amazing, so amazing that I might put off the meatballs I was going to make today and make this instead!! So glad to have found your blog and looking forward to following you! 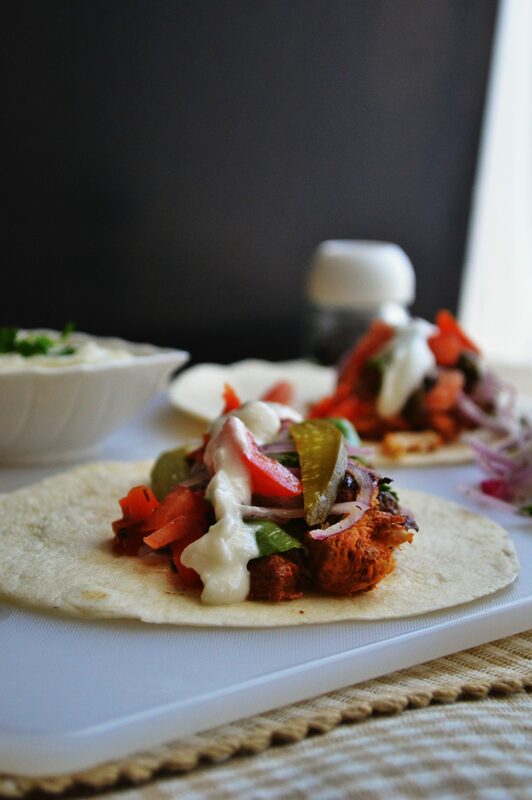 You’ve made an instant fan with this recipe AND your fabulous photos. I’m sitting here in southern California hungrier than I can ever imagine being before and it’s all your fault! lol I think I could practically BATHE in that toum sauce, I love it so much. This is going on this week’s menu…. thank you! Heyy Rabia! Sumac powder has a very sour taste. Alternative would be lemon zest or lemon juice. But as we are already adding lemon juice, I think a little bit lemon zest along with it would be good. But its okay if you omit it altogether also. Hope this turns out good for you. Please let me know.